Saturday, Oct. 23rd -Seven SDS members traveled to Pierson, FL to engage in door-to-door canvassing for the campaign to elect Tony Ramos to the city commission. As we began our work around ten in the morning, we found out that Tony had been featured on the front page of the largest county newspaper. The article clearly showed Tony’s adversary, James Peterson, to be a traditional Southern incumbent who chooses to ignore his own constituency. He himself admits that he would not be talking to Hispanic voters because he believes that none of them speak English. The incumbent’s apparent “racist” strategy, to ignore all non-white voters, will be his downfall as SDS moved into the neighborhoods that have been so long forgotten by the local government. 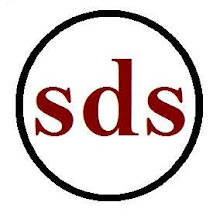 SDS, along with Tony, Marcos, and two neighborhood boys, began by splitting the volunteers into three groups to target different segments of community. Armed with personalized letters to each of the voters and the enthusiasm that only comes from fighting against racist ignorance, we knocked on door after door after door. As we greeted the voters, the overwhelming theme that moved them the most was the lack of representation that Hispanics and blacks in their local government. House after house, we found more and more people who were fed up with feeling ignored and who promised us their votes. The only thing more powerful than their desire to change things in Pierson was their overwhelming kindness. Although Marcos and Tony seemed to know every person like an old friend, many of us were strangers to the people we talked to, but yet we were treated with little suspicion and with plenty of compassion. We were invited to barbeques, offered drinks, and given the most delicious meals. It is without a doubt that we faced much more success in the black and Hispanic areas than in the white areas, with minority households giving us their support virtually every time. The candidates’ campaign strategies reflected very well on their general plans for office. Peterson has chosen to ignore the minority areas because he has never had to paid attention to them before while in office. He is counting on the power of his wealth to defeat the power of the working people of Pierson. In our experiences in Pierson, we have witnessed firsthand how the general working folks view their city and government. They know full well that wealthy whites control the town and think they can control it forever. More important than this knowledge is their willingness to fight against the racist “good ole’ boy” Southern system and we in SDS have marched alongside them and will continue to do so. With this, we wish good luck to Tony Ramos for November the 2nd, we’ll be rooting for you compañero.